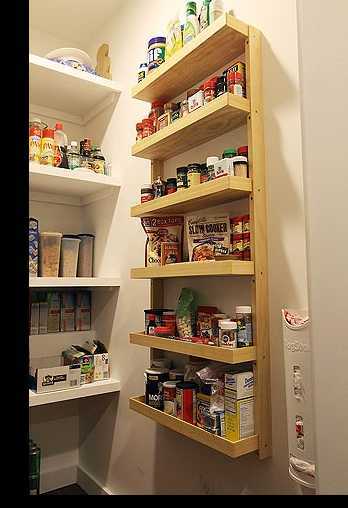 This is a custom spice rack that I built for the pantry in my own home. After taking inventory of all of our goods, I realized that the existing sytem of cluttered bins and hard-to-access storage containers was simply insufficient. I decided to utilize the wall space between the pantry door and shelves by installing this custom spice rack unit for all of our spices, baking products, and a variety of other small pantry items that would otherwise get lost on the deeper pantry shelves. Taking into consideration the size of the items to be stored and the liklihood of this shelf occassionaly being bumped, I added a shallow lip to the edge of each shelf in order to ensure everything stays safely in place. My wife was skeptical of the need for this spice rack when I first proposed it to her. She was concerned it would make the pantry feel cramped and that the kids would bump into it on a regular basis. She has since become a believer. 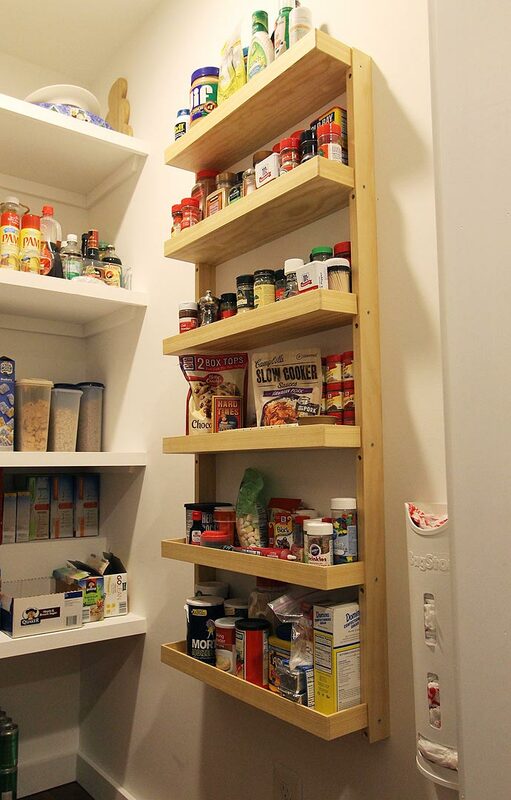 Not only were her fears of a cramped space unfounded, but relocating all of our small food items to this unit freed up valuable space on the main pantry shelves for all of our larger items. Most importantly, this shelving system is highly functional, allowing us to easily find and access everything we need within seconds rather than digging around in bin after bin in frustration.